Live the unique experience of meeting various places and people in Colombia: indigenous communities, stunning landscapes and ancient cultures. 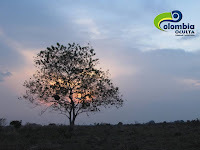 We plan to take you through different ecosystems and cultures: from the high mountains in the Sierra Nevada of Cocuy, located in the Andes mountains between 3.500 and 5.300 masl., to Colombian Pacific coast and the biogeographic jungle that will permit you to meet Afro colombian cultures and a beautiful landscape and see diversity of fauna; indigenous descendants of the Muiscas, who lived in the highlands of Cundinamarca and Boyaca departments; regions and landscapes of the eastern plains, with an ecosystem with a great diversity of fauna and birds mainly. 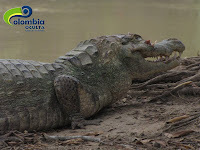 Colombia is one of the most biodiverse countries in the world. 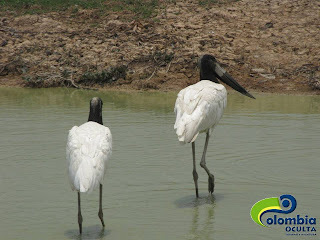 It is the first country in bird species, and the second in amphibians. Nature is the power of this country. Today it has many tourism attractions thanks to community efforts and governmental decisions that allow comfortable and safe traveling. The trip begins in Bogota, our capital city. There we’ll visit the Gold Museum (Museo del Oro) where the development of our culture is being explained through the formidably gold work our ancestors made. This is one of the places that no one could miss. 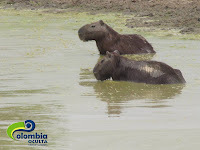 We’ll start our contact with nature, visiting the Wetland of “La Conejera”, a very special place inside Bogota, with more than 120 species of birds, including several endemic and in danger of extinction. This place has recovered thanks to the community work that has struggled to make this area a nature reserve, a case that has been example for many countries around the world. We’ll move to the Muisca indigenous council in Sesquilé (an hour from Bogota), and introduce you people with the indigenous legacy that are still striving to maintain their culture. With them, we will go to the Siecha Lagoon , where they used to practice the ritual that has become one of our principal legends: The legend of “El Dorado” which consisted in the chiefs Muiscas bathing first in gold dust, and then bathing in the lakes to be offered to the gods. Indigenous people, who we will visit, will explain us the Ritual. Siecha Lagoon is located in a National Park called Chingaza, at 3.400 masl., a special ecosystem named “moor” where the water sprouts to calm the thirst of the 8 million inhabitants of Bogotá. Colombia's wealth lies in the diversity of its geography. We have forests, oceans, deserts, plains, moors and high mountains. We have lands from zero meters above sea level, to the snow line at 5.600 meters. After a process of acclimatization, we’ll go to the Sierra Nevada of Cocuy: A magical place at the Andes mountains range with stunning landscapes that offer the possibility of hiking, climbing or simply relax and enjoy the scenery. We’ll return back to the capital and taking advantage of Colombia, as one of the major flower exporters, we’ll visit "Orchids of Tequendama (www.orquideasdeltequendama.com), located one hour from the city. It is a place where we can find, in its natural habitat, 1,000 species of orchids from around the world. Then we’ll go to a park named Chicaque, with beautiful humid forests, waterfalls and beautiful trails. We will continue to Nuquí at the Colombian Pacific. This place is unique because it is characterized as one of the most biodiverse in the world. Its cultural wealth is enormous too. 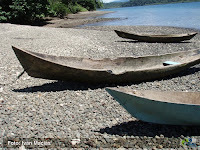 Tasty afro- colombian food and traditional music, a great invitation to joy and happiness of the Pacific Ocean cultures. 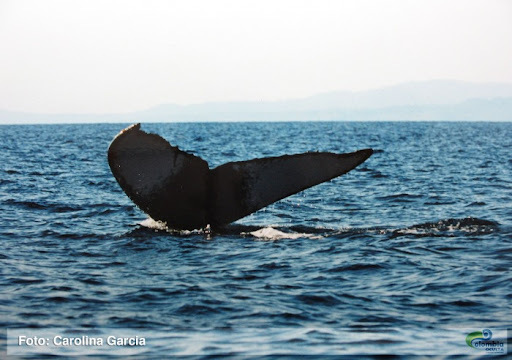 This paradise receives every year the visit from Patagonia of hundreds of humpback whales to give birth to their babies. And to end the visit to this beautiful country, will go to the eastern. We’ll stay at the Echo Lodge Hato la Aurora. 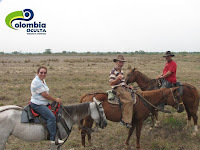 A 10.000 hectares farm converted into Natural Reserve; it is located in the department of Casanare, where we can find much wildlife in its natural state, such as deer, wild pigs, jaguars, crocodiles and many birds; it has many water sources that allow the coexistence of these wonderful animals. We will also have contact with their culture through their special food and music, very different from the music of the rest of our country.